Samuel is an associate in the public finance section in the Houston office. His practice is focused on creation of special purpose districts, statutory and regulatory interpretation, governmental relations, and administration of special districts. He has experience in representing clients through corporate reorganizations and restructurings, creditors’ rights, and trustee representation. While in law school, Samuel served as Staff Editor and Articles Editor for the Texas Journal of Oil, Gas and Energy Law, receiving as award for Staff Editor of the Year. 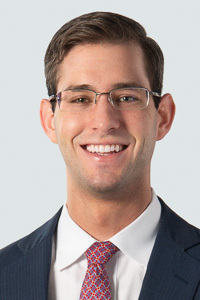 He also served as the Director of Finance for the Texas Business Law Society and participated in transactional and bankruptcy LawMeet competition teams.